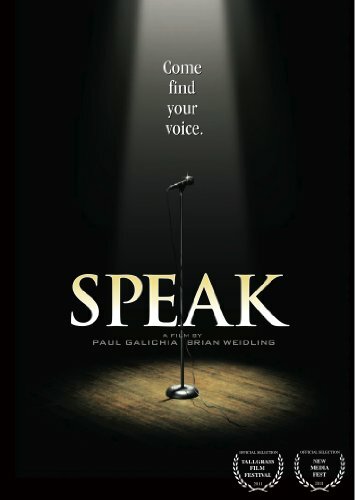 Speak is a documentary film about the fear of public speaking, and the Toastmasters World Championship of Public Speaking. Filmmakers Paul Galichia and Brian Weidling embarked on an almost two year journey conducting hundreds of interviews about public speaking anxiety, and capturing every stage of the tense, highly competitive World Championship of Public Speaking. It all culminates in a week of fascinating human drama in Calgary, Alberta, after which one person is crowned World Champion of Public Speaking. Funny, inspiring, moving, and utterly absorbing, Speak follows the trail of those brave souls who take on the fear of public speaking the world s number one fear and live to tell the tale.